On the 16th (Sat), look for all kinds of wild species at Wildlife Areas and then kick back and relax at Meelup Beach. To see more things to do, where to stay, maps, and tourist information, read our Busselton road trip planning app . Singapore, Singapore to Busselton is an approximately 14-hour flight. 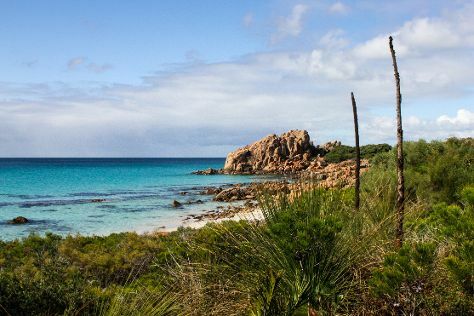 Wrap up your sightseeing on the 17th (Sun) early enough to drive to Margaret River. On the 17th (Sun), kick back and relax at Surfers Point and then let your taste buds guide you at a local gastronomic tour. On your second day here, learn the secrets of beer at a beer tour and tasting. 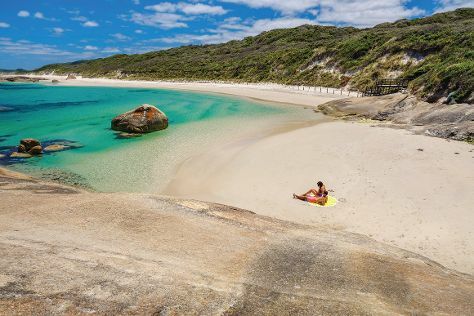 To see ratings, traveler tips, more things to do, and tourist information, read our Margaret River online tour planner . You can drive from Busselton to Margaret River in an hour. Another option is to take a bus. Cap off your sightseeing on the 19th (Tue) early enough to go by car to Albany. Kick off your visit on the 19th (Tue): see the interesting displays at National Anzac Centre, then take in the dramatic natural features at The Gap and Natural Bridge, and then enjoy the sand and surf at Greens Pool. On the 20th (Wed), you'll have a packed day of sightseeing: appreciate the history behind Desert Mounted Corps Memorial, then enjoy the sand and surf at Middleton Beach, and then stroll through Little Beach. For reviews, ratings, traveler tips, and more tourist information, read our Albany holiday builder . Traveling by car from Margaret River to Albany takes 4.5 hours. Alternatively, you can take a bus; or do a combination of bus and flight. In November, plan for daily highs up to 25°C, and evening lows to 12°C. Cap off your sightseeing on the 20th (Wed) early enough to travel to Perth. Bring the kids along to Adventure World Perth Australia and Perth Zoo. Step out of Perth to go to Fremantle and see Fremantle Prison, which is approximately 32 minutes away. 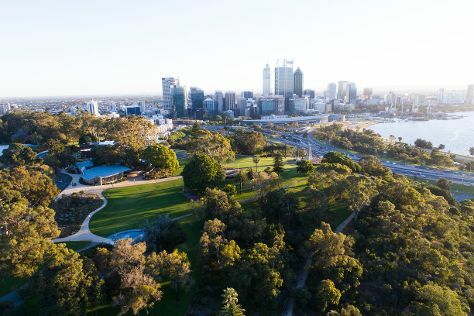 There's lots more to do: walk around Kings Park & Botanic Garden, pause for some photo ops at Kings Park War Memorial, kick back and relax at Cottesloe Beach, and contemplate the long history of The Perth Mint. To find ratings, other places to visit, where to stay, and other tourist information, use the Perth road trip planning site . Traveling by flight from Albany to Perth takes 3.5 hours. Alternatively, you can drive; or take a bus. Traveling from Albany in November, expect nights in Perth to be about the same, around 15°C, while days are a bit warmer, around 33°C. Wrap up your sightseeing by early afternoon on the 24th (Sun) to allow time for travel back home.